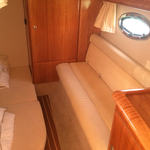 Yacht Bavaria 32 Sport named Estel Mariner Tercer has been produced in 2005. 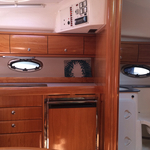 We propose this sailboat from harbor Palma de Mallorca in surrounding area of Palma De Mallorca. Estel Mariner Tercer is licensed for 4 passengers. 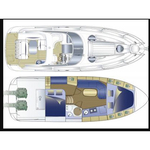 Layout of the sailing boat is 4. 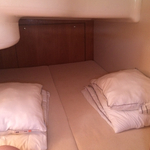 Bavaria 32 Sport Estel Mariner Tercer has 2 cabins. For guests disposal there are 1 bathrooms. You can fill the tank for fuel with 550.00 l liters and in water container it goes even 150.00 l l. With engine 2x 225 hp Estel Mariner Tercer can move really fast. Estel Mariner Tercer is 10.20 meters long and 3.20 meters wide. 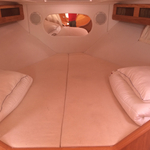 Draft is 0.90 m. Click for more offers in this section: Motorboats Palma de Mallorca. 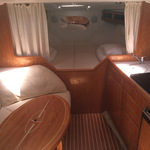 Sailboat's equipment consists of : Dinghy, Anchor electric windlass, Bimini top, Radio cd mp3, Bow thruster, Gps, Plotter gps in cockpit, Microwave. . Security deposit has value 2000.00 EUR. Choose our offer and enjoy your vacation on the deck of Estel Mariner Tercer. 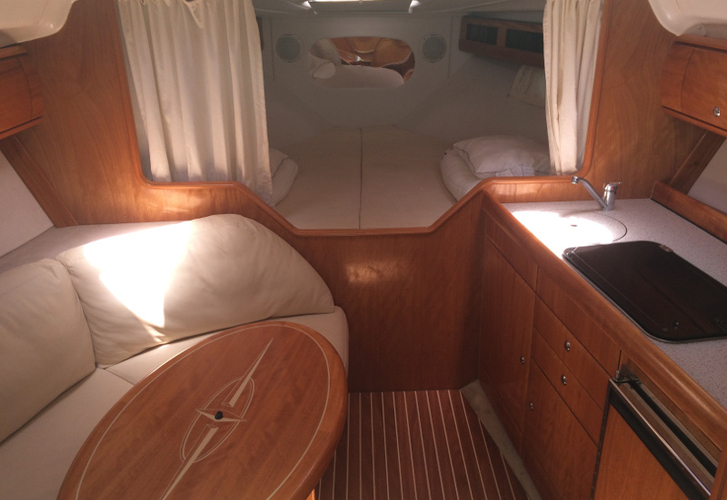 This Bavaria 32 Sport from Palma de Mallorca from Balearics Check here: Motorboats Balearics.